It’s a sad fact that despite having written sketches, plays, online series, and actual half-hour sitcoms that were broadcast on the television and everything, the thing which has most excited my parents was getting credited on The News Quiz. There is no prouder moment for a middle-class parent than when their child is writing additional material for Sandi Toksvig. Providing them with grandchildren pales into insignificance when your name is read out in the 6:30 slot on Radio 4. It was exhausting and pressurised, having to produce joke after joke about occasionally abstruse economic stories, but it was also exhilarating. 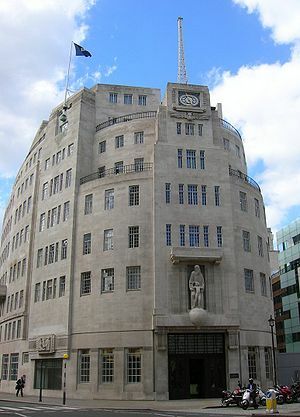 It was a real thrill to sit in the BBC Radio Theatre and listen to the show be recorded, hearing the instant reactions of the audience to the jokes that made it into the script. And to get to be in a Green Room with Jeremy Hardy. Topical comedy is difficult and draining because yesterday’s brilliant joke is, today, a reference nobody understands. The fact that it dates so quickly means that there’s a huge appetite for new material, which also tends to mean that there are opportunities for newer writers, some of which I’ll list here. Topical comedy was my way into writing comedy, it allowed me to develop my skills, hone characters, learn a lot about how to craft a joke, and get paid (a little bit) whilst doing it. If you write a good topical joke or sketch there are lots of places you could try to sell it, and you’ve a better chance as a newcomer than in almost any other field. Stage Shows – Both The Treason Show and News Revue have open submissions policies and pay for anything they use. They won’t pay a lot and it will take a while for the money to arrive, but if it is funny and you send it to them, they are very likely to use it. Then: congratulations, you’re a professional comedy writer! The Treason Show also holds meetings for its writers where (if you are Brighton-based) the director will tell you what they are looking for. It is well-worth going along to one or the other show to see what sorts of things work and don’t work, if you can make it. These two shows provide a great apprenticeship in topical comedy. The first sketch I was ever paid for I sold to News Revue, and if one of the two shows doesn’t like your sketch you can always send it to the other. If the worst comes to the worst you can do what I did and become a writer-performer, get cast in the shows, and then refuse to go on unless they use your work*. This is blackmail. It is also very effective if you do it once the audience are seated. However, if your video contains any profanity, then they will not approve you for the affiliate programme. Instead you will be hunted down by a pack of slavering obscenity-hounds and have your remains fed to the crows. As happened with this video, which I forgot I had sworn in the middle of. Radio – Newsjack has open submissions, and you should be sending them stuff. A series is running right now. Go away. Write a good joke, work out which of their segments it could be useful for and send it in now. Better still, write lots of good jokes and send those in. Recorded For Training Purposes also has an open submission policy (or has had in the past), so keep an eye open on Writers’ Room for when that opens to submissions. Submitting to these shows is an excellent way to get your work in front of the eyes of joke-hungry producers. Following Jason Arnopp would be a good way to learn more about RFTP. Comedians – If you are good at writing jokes, topical or not, you may well find that there are comedians who are willing to buy them from you. Keep an eye on the forums on Chortle, or advertise yourself there. Online – BBC Comedy Online currently produce topical sketches, although their turnaround times for submissions tend to mean that if your jokes are bleeding-edge in their topicality this might not be the way to go. However, you can always make it yourself, and then see if they want to buy it. Other sites have, unfortunately stopped commissioning, and, with the demise of Comedybox and Funny Or Die UK, you may be better off making things yourself and putting them on Youtube for a while. TV – There aren’t really many ‘open opportunities’ here, as such, but there will be occasional sweeps for ‘new talent’, and I got my first proper TV work (not that my appearances in Smile as The Queen weren’t proper, but you know…) from doing topical jokes. Twitter – Twitter is a great place to practise gag-writing. 140 characters is a little limiting, but it encourages brevity and can give you an instant barometer of how funny people found something with the ‘Your Tweets, Retweeted’ tab. Note: clicking this can also be a tremendously dispiriting experience. So, whilst topical comedy is hugely ephemeral and can require an enormous amount of thought and concentration for something that won’t be funny in a week’s time, it is still an area in which new writers can get their work performed, and can even make a little money out of. It’s tough, brain-scrunching work, but there are real rewards in terms of credits for getting it right. And a crushing sense of defeat and humiliation for getting it wrong. * There are slightly different opportunities for writer-performers, and I’ll do a separate post on those next week.